I know—Deja Vu, right?! 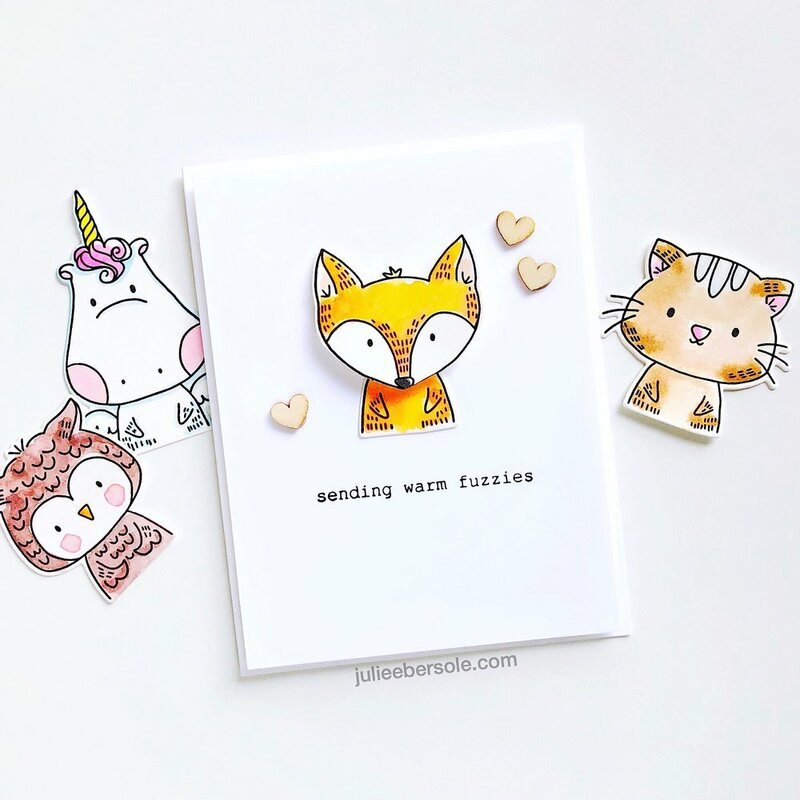 This is the card I made from the adorable animals I watercolored in the blog/video hop post featuring with the Waffle Flower Water Media Mat, from last week. If you’ve never made a TILT card before, they are quite easy and fun. I have a video below showing the mechanics—it’s a very simple mechanism and you can customize it to anything you want to make tilt back and forth. 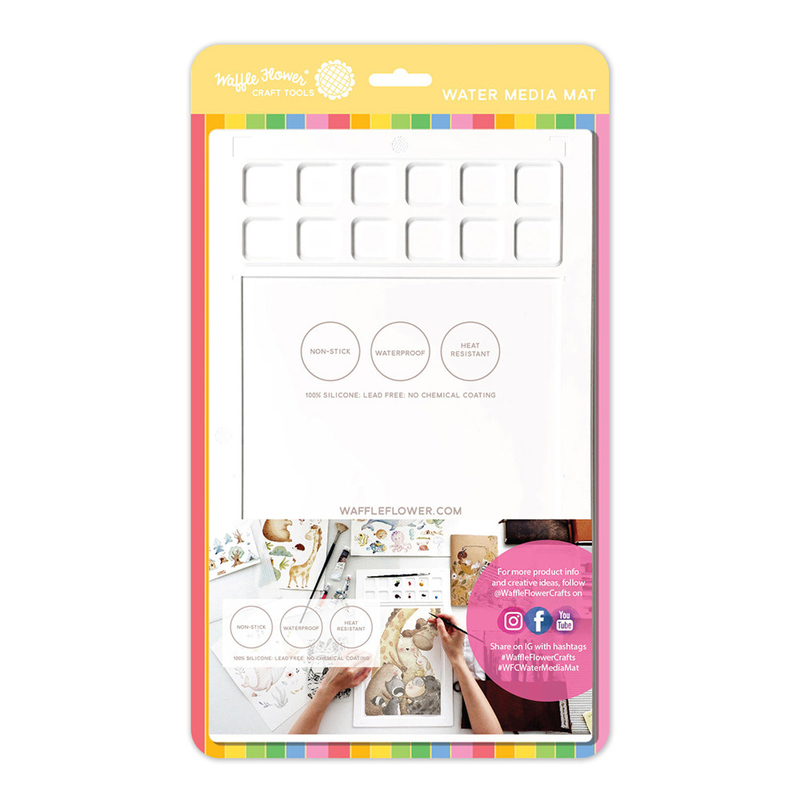 The Water Media Mat by Waffle Flower Stamps was one of our Top Ten picks from Creativation 2019 and what a great tool! I’m video hopping with Nina and the Waffle Flower gang over on YouTube! Full video hop list is available HERE on the Waffle Flower blog! This thing has quickly become one of my favorite tools because watercolor is my favorite coloring medium and with this mat, you can use not only bonafide watercolors, but also water-based markers, water-based ink cubes, etc. Those little she critters are so adorable and, no kidding, they’re the perfect size for watercoloring! And, gosh, so perfect for that tilt card, right?! Have a super fab day!